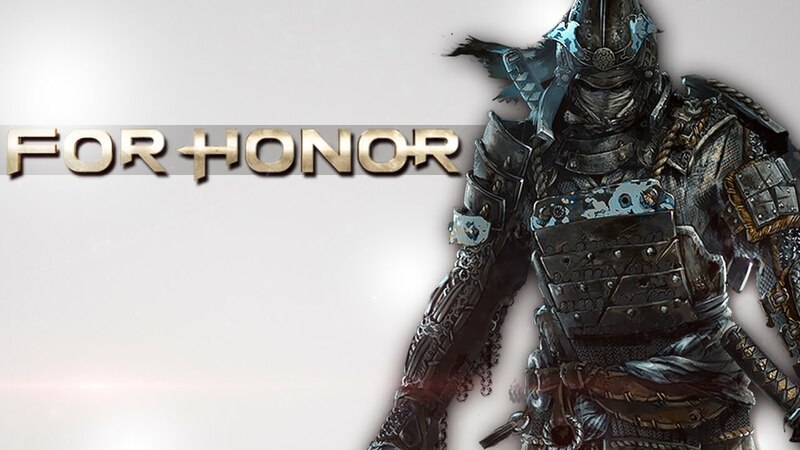 Home » Featured » What Will You Do ‘For Honor’? There is nothing like a good rousing pre-battle speech to get the blood-lust going. Whether it is eloquent like Aarogon’s from Lord of The Rings, or it is pure violence, like Leonidas from 300, a good speech will give you goosebumps and make you feel like you are ready to cut bloody swaths through the enemies army. Only in ‘Sword and Shield’ genre battles can you get this type of speech. 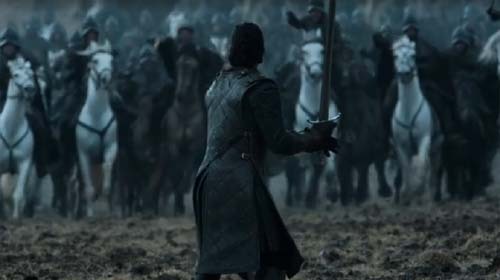 Taking your sword in hand and standing in the middle of the battlefield, and simply waiting for the enemy to come to you, you look like a Boss waiting to meet death if it’s your time. Jon Snow, The King in The North! Unfortunately, there has never been a game that correctly captures the intensity of sword and shield combat. Even though Dynasty Warriors tried to show that there was a market for more focused sword and shield combat, they didn’t hit the mark in the way that many gamers really wanted. That is not to say that ‘Hack and Slash’ games don’t have their place, but, the rinse and repeat of Dynasty Warriors quickly became tiring. In comes For Honor, a game developed by Ubisoft, that promises to deliver the fast paced, intelligent, and dynamic combat that close quarters fighting can bring. Since E3 2015, I have eagerly been awaiting this game. I love close quarters combat, and melee weapons. There is something about seeing two warriors going at it with each other, only their skills and determination to survive keeping them going. Ubisoft’s new IP seeks to bring to life my desires to finally fight against people with swords in a more “authentic”, fashion. Where Soul Calibur allowed for a wonderful experience with 2D weapons fighting, For Honor is set to bring a very focused big battlefield simulated weapons fighting game. You are able to choose between 3 distinct factions: From the the Stalwart Medieval Knights, to the Passionate Vikings, and even the Swift and skillful Samurai. Each faction will bring a particular flavor to the battlefield. Specifically, I am excited to wield a Katana as an Oni, the perfect blend of Ninja and Samurai. But, my biggest fear for this game is that it will go the way of The Division. Where a massive amount of people will play, but within 3-6 months 90% of the players will walk away to other games. What Ubisoft needs to do is examine what makes this game work. One of the things it seems that will work in the favor of For Honor, is the League of Legends dynamics it draws from (ex. Heroes, towers, bots, etc.). These things works in the favor of For Honor, but, Ubisoft needs to make sure that any DLC (because there will always be DLC), that comes out, only advances what works (better and more varied maps, interesting modes of game play). Ubisoft needs to also contemplate what other cultures that they will draw from, will there be the Greeks, particularly, the Spartans coming into play, will there be any African warrior, or Native American Warriors, will the Medo-Persian empire come into play? These questions and more will have to be pondered, researched and addressed correctly by Ubisoft, to have a chance to have a Online focused game like For Honor to make it beyond a year. The dropped ball that was The Division, should have lit a fire under Ubisoft’s pants, they cannot spend that much money on an IP, advertisement and all, and not deliver. I truly, truly, want to be playing For Honor until at least 2020, a well done, big battlefield weapons combat game has always been a desire of mine to play. I can only hope that Ubisoft will do a good job at it.